LTrace is able to track the location of any item as it moves throughout the facility. This allows you to know exactly where something is at any particular time. LTrace also records the patient when an item is used. This then allows full traceability. 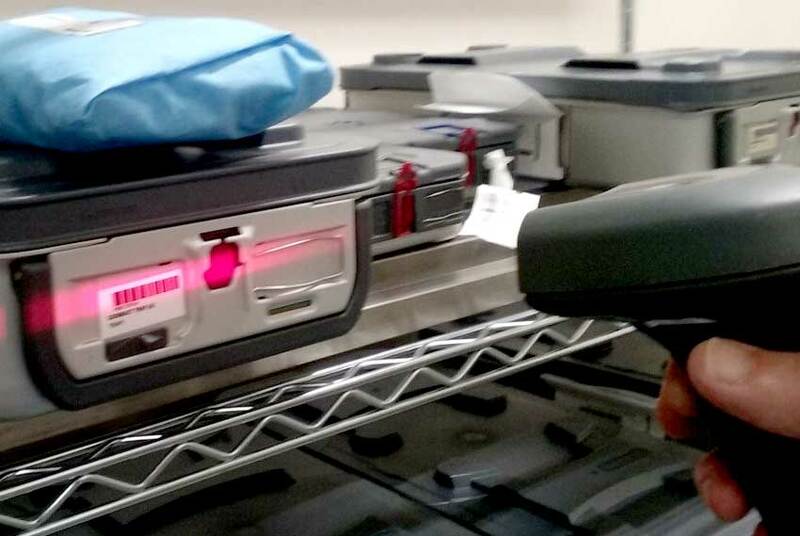 The most common method that LTrace uses for the tracking of items throughout a facility is by using barcode scanners. A barcode is located in a convenient location. Staff simply scan this barcode once and then scan all the items as they are received. LTrace can then be used to quickly locate an item. the department that uses or requires the item. This ensures it will reach its destination quickly. the location within the department in which it is to be stored (eg the cupboard number). This ensures that the item will not be misplaced once it has arrived at its destination. At the start of a surgery a blank sheet of paper is used to store the labels. A patient label is affixed to the top. As items are used the staff simply remove the attached label and stick it onto the patient sheet. This means that no PC is required during surgery. In an emergency when items are being quickly opened the label will remain with the packaging until after surgery. They can then be added to the patient sheet. After surgery, the patient code is entered into LTrace and the labels on the patient sheet are scanned in. This usually takes less than a minute. Once the item has been scanned to the patient the audit trail is nearly complete. The item can be tracked from the patient back to the batch, back to previous patients or forwards to the next patient.